NBC’s ‘This is Us’ is one of my favourite shows on television right now. Its combination of excellent writing and acting earned it a place in my ‘Most Fascinating People of 2016‘ list on my personal blog. Many people who watch the trials and tribulations of the Pearson clan rarely escape an episode dry-eyed. Last week’s episode, entitled ‘What Now,’ was particularly interesting as it not only touched on family but paid much attention to the work force. 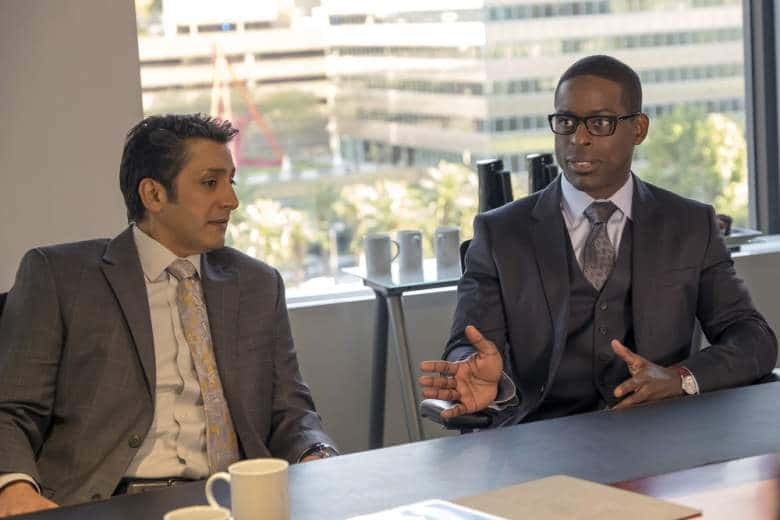 One of the main characters Randall, played excellently by Emmy Award winning actor Sterling K. Brown, was dealing with the loss of his father. In between dealing with his own grief and making arrangements, his employer reached out to him with a basket of pears and a typed up condolence card. We came to find out he was allergic to pears, something his employer knew and of course the card had no feeling towards it. Death and loss is never an easy thing to deal with. People don’t know what to say and usually find themselves scrambling for some sort of words to help through the situation. As I watched this episode I was reminded of how fortunate I was when I was in Randall’s situation several years ago. My mother was diagnosed with lung cancer and she was given a very short time to live. I didn’t hide this from my former employer as I knew it would affect my schedule. My mother’s funeral was well attended by my colleagues. At the time I managed a team of 12 employees in a call center environment. I found out later employees from the overnight shift came in during the day so my team could attend as they wanted to be there for me. Peers and members of senior management attended as well. This meant a lot to not only myself but my family. In this episode Randall quit his job as he realized he was not valued as an employee. Being sent pears that could have killed him and a standard card provided him enough reason to end that relationship. This episode was a sharp reminder for employers to value their staff. One of the worst things that could happen to a person is to lose someone close to them. If they do the hope is they have the support I did from my former employer. I think this episode also reminds us to get to know the people you work with. People perform much better when they feel valued, when they feel they aren’t just a number. Customer focus is vital to the success of any business but so is ensuring your employees feel cherished and appreciated. This can be accomplished a number of ways; team bonding exercises, recognition programs or something as simple as taking the time to have a conversation with your staff and finding out they are allergic to pears. ‘This is Us’ is a great show that illustrates the complications of family dynamics. Last week it reminded us of work family dynamics as well.